Running a kitchen can be expensive- both in monetary and environmental costs. No matter how you look at it, restaurants are an energy-intensive business. The energy bill can start to eat away at a small restaurant owner’s budget, so optimization is a high priority. 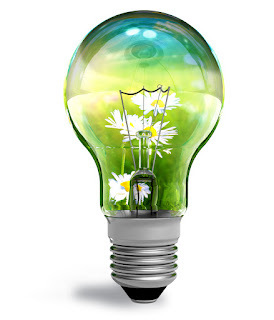 Customers will also appreciate and better connect with your business if they know measures are taken to be environmentally friendly. The Millennial generation makes up a large part of the environmental sustainability movement, and thus care more about how much energy a business utilizes. Here are some tips to run your kitchen operations at optimum efficiency. • Remember to keep in mind that some restaurant equipment is more efficient than others, such as how griddles are generally more efficient than broilers, or that steam cookers require less energy than a typical steamed dish. • Consider utilizing compact fluorescent lamps in place of the more energy-hungry incandescent variety. Sensors that recognize occupancy can also help to reduce costs by limiting the amount of time certain lights stay on throughout the day or night. • Curtains! It may seem like a simple solution, but cooler curtains around the walk-in area can help reduce air-conditioning or heating costs by better retaining the internal temperature.